Our virus and malware removal services will give you peace of mind knowing your computer is clean. Our combination of industry leading virus and malware removal technologies and experienced technicians, provide our clients with the most trusted service for restoring infected computers to like-new condition. The skilled virus removal technicians at Computers Plus Repair in Lexington have extensive experience and success in removing all kinds of computer viruses and malware. One of the most common computer services we perform is virus and malware removal, including removal of rogue security software which is becoming increasingly common. 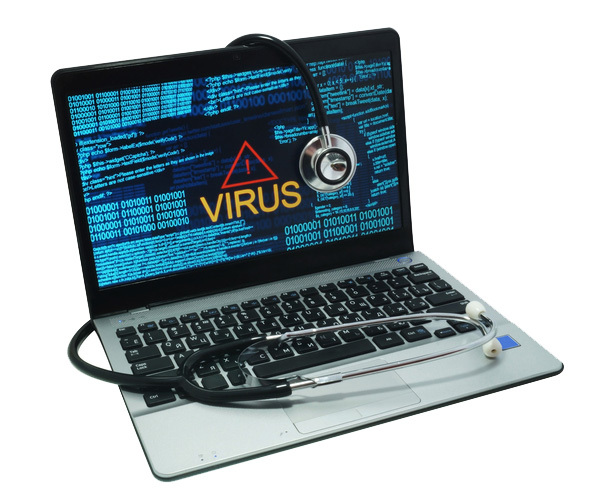 Our virus removal service ranges from $40 to $149 depending on the complexity of the situation. First we diagnose the severity of the problem through observation of the computer’s symptoms. Then, we utilize one or more of a number of diagnostic scanning and removal programs. In more severe cases we remove the hard drive and connect it to one of our secure computers to run scans externally. This way, the malware can’t prevent removal programs from scanning and removing the infected files. In a few cases, where there has been substantial damage to core Windows system files, we recommend a data back-up (if desired) and re-installation of the Windows or Apple operating system. In this case, the computer’s software would then be restored to a similar condition as it was when the computer was new. We guarantee our work for 30 days. We also offer a number of high quality anti-virus programs in our store. Feel free to call us or stop in with any questions. We are always glad to help. Computer viruses are frequently spread by attachments in email messages or by instant messages. Therefore, you should never open an email attachment unless you know who sent the message, or you are expecting the email attachment – they can be very tricky! Viruses can be disguised as attachments of funny images, greeting cards, or audio and video files. Computer viruses also spread through downloads on the Internet. They can be hidden in pirated software or in other files or programs that you might download. To help avoid computer viruses, it’s essential that you keep your computer current with the latest updates and antivirus tools, stay informed about recent threats, run your computer as a standard user (not as administrator), and that you follow a few basic rules when you surf the Internet, download files, and open attachments. Once a virus is on your computer, it’s essential that you remove it to prevent further infection. Ignoring it will likely result in a worsening infection. A worm is computer code that spreads without user interaction. Most worms begin as email attachments that infect a computer when they’re opened. The worm scans the infected computer for files, such as address books or temporary webpages, that contain email addresses. The worm uses the addresses to send infected email messages, and frequently mimics (or spoofs) the “From” addresses in later email messages so that those infected messages seem to be from someone you know. Worms then spread automatically through email messages, networks, or operating system vulnerabilities, frequently overwhelming those systems before the cause is known. Worms aren’t always destructive to computers, but they usually cause computer and network performance and stability problems. What is rogue security software? This computer is infected by spyware and adware. Are you sure you want to navigate from this page? Your computer is infected! This can cause data loss and file corruption and need to be treated as soon as possible. Press CANCEL to prevent it. Return to System Security and download it to secure your PC. Press OK to Continue or Cancel to stay on the current page. Only download programs from websites that you trust. If you’re not sure whether to trust a program that you want to download, enter the name of the program into your favorite search engine to see whether anyone else has reported that it contains spyware. Read all security warnings, license agreements, and privacy statements that are associated with any software that you download. Never click “Agree” or “OK” to close a window that you suspect might be spyware. Instead, click the red “x” in the corner of the window or press Alt + F4 on your keyboard to close a window. Be wary of popular “free” music and movie file-sharing programs, and make sure that you understand all the software packaged with those programs. Use a standard user account instead of an administrator account. For more information, go to the Why use a standard account instead of an administrator account website. For more information about how to protect a computer against viruses, go to the How to boost your malware defense and protect your PC website.